It’s time to review the Dell S2716DG 27″ monitor because it’s one of the best selling 1440p monitors on Amazon. Let’s see if it’s actually worth getting! 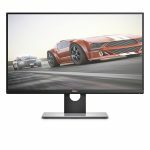 Usually 1440p monitors are priced super high when they have a bunch of features included but that’s not the case with the S2716DC model. With G-Sync and a moveable screen, the price really isn’t all that bad!